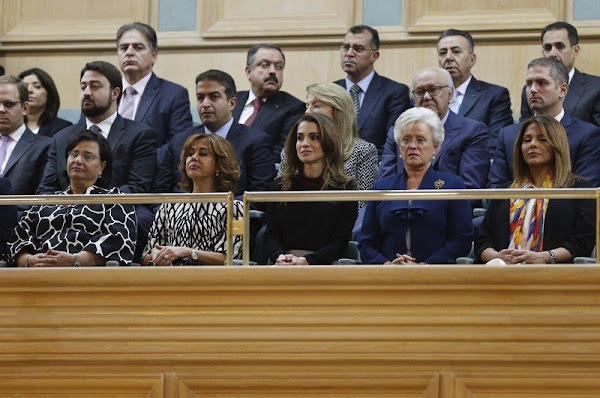 Queen Rania of Jordan and Princess Mona, (mother of King Abdullah II) attend the opening of the third regular session of the parliament in the capital Amman on November 15, 2015. She is beautiful as always. However, that dress/skirt is awful! Not the best location. Almost as if it is a bullseye. I agree, hair looks great, makeup, eyes go down - blah! It's a shocker, someone got dressed in the dark. | love the skirt. Taste is personal.